I can’t believe that my baby Holly is starting school in September. Since we received the email to say that she will be joining her big sister at her school, it’s felt like this time before school is running away with me. I’m not ready to loose my little side kick, but she is ready for school, can’t wait to be with Alice and I know that it will be good for her. It’s time to start getting prepared, I’m a planner and an organised person. The thought of leaving anything to the last minute and things not being available, brings me out in a cold sweat. I was really pleased when Personally Presented got in touch to work with us, it was perfect timing and they have such beautiful items that I knew Holly would love. 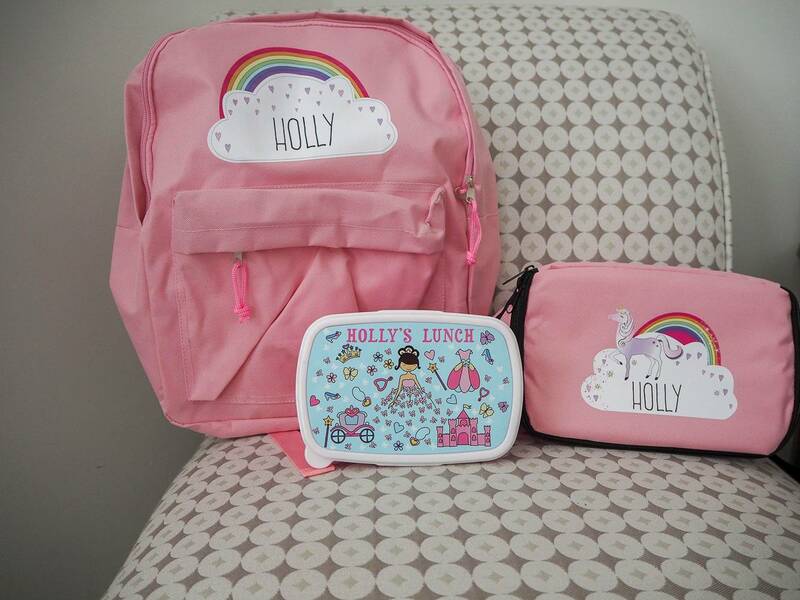 Holly was very excited when she saw her Personalised Rainbow Backpack, it was pink had a rainbow on it and her name. Everything that she loves. I think it’s a good idea to buy as many things as possible with their name already on when it comes to school. It makes it really hard for items to go missing. The backpack is nice and big, with a front pocket which will be useful for things like hats, gloves etc. It will definitely grow with her. 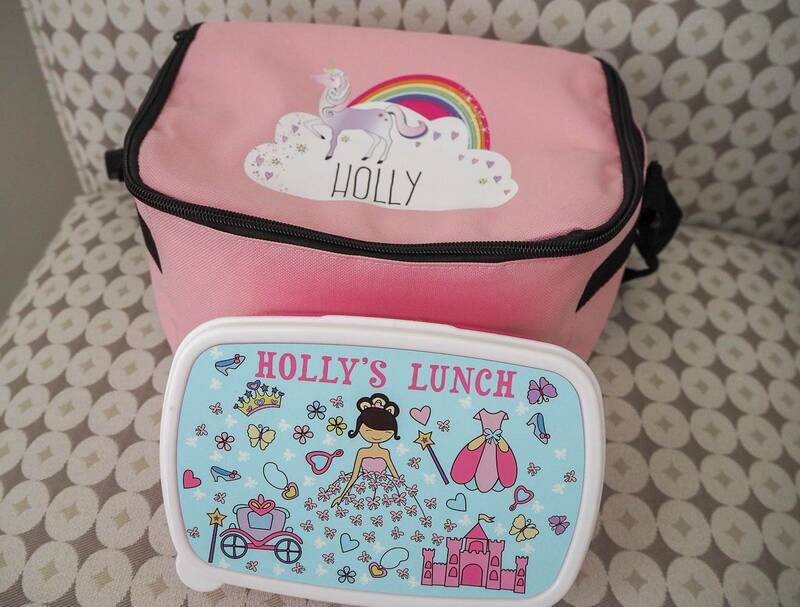 Holly was also sent a Personalised Unicorn Lunch Bag and Personalised Pretty Princess Lunch Box. 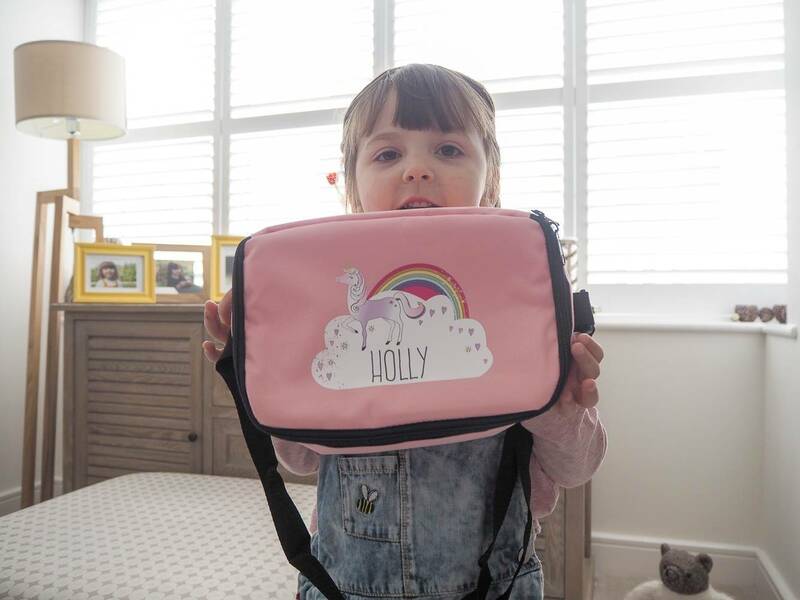 Whilst Alice is very good at having school dinners, Holly is my fussy eater and I know that she will be having a pack lunch most days. The lunch bag is a great size, you can fit in the lunch box, a drink, piece of fruit and a packet of crisps. Plus more if you needed to. It has an adjustable strap, making it easier for them to carry and it is wipe clean interior. Plus again it comes with her name on it. 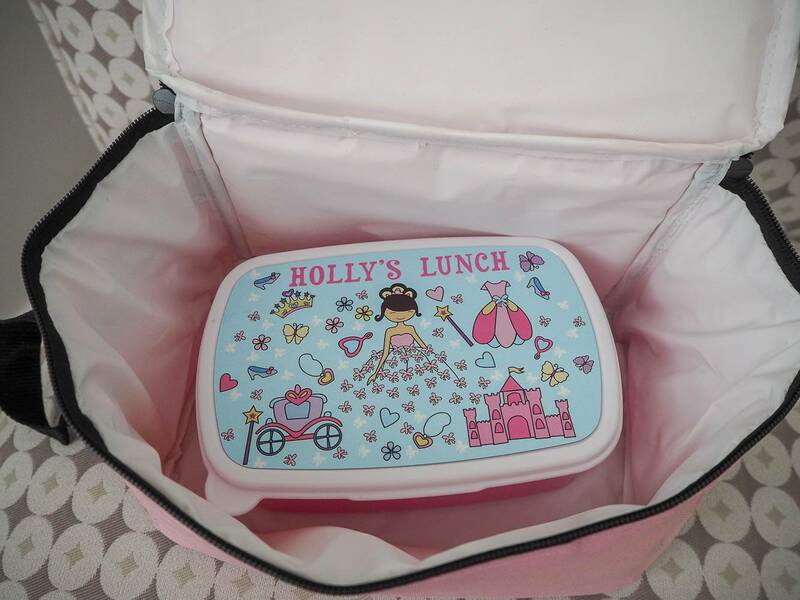 The lunch box was a great addition to the lunch bag, it fitted in Holly’s sandwiches, cucumber and cheese. 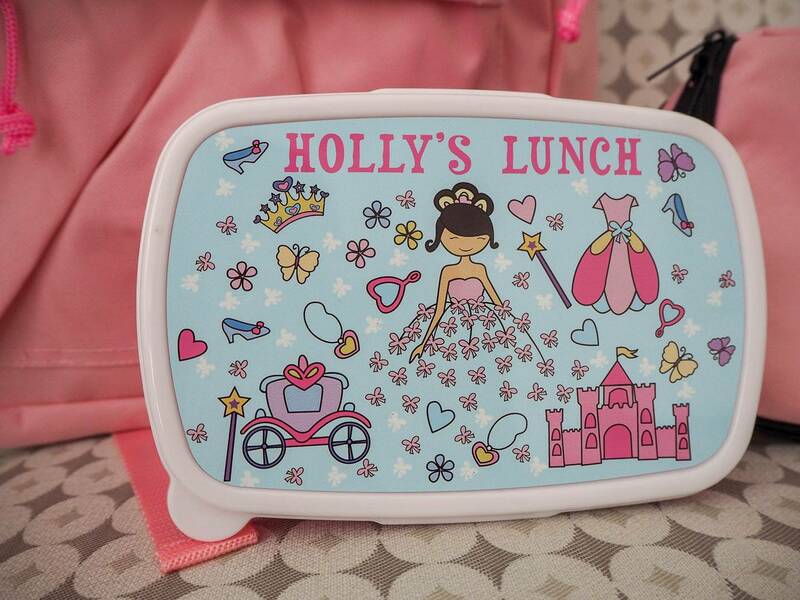 I love the bright design of it and there is no mistaking that it’s Holly’s with her name on it. 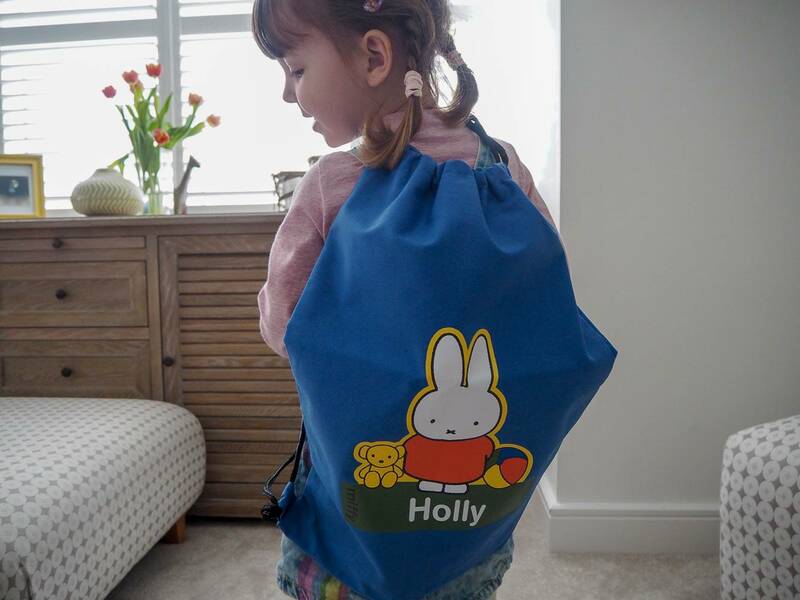 We were also sent a Personalised Miffy PE Kit Bag that Holly loves. This is great not only for her PE Kit, but quite often they have different days at school when spare clothes are needed and this will be perfect to use for. It is also waterproof and would make a great swim bag. Holly is a very happy little girl and is even more excited about joining Alice now. Personally Presented have a full range available, with various different designs, meaning there is something for everyone. Disclosure: We were kindly sent our products to feature in this post. All views and opinions are my own. Aww, her backpack looks so huge on her, bless her! 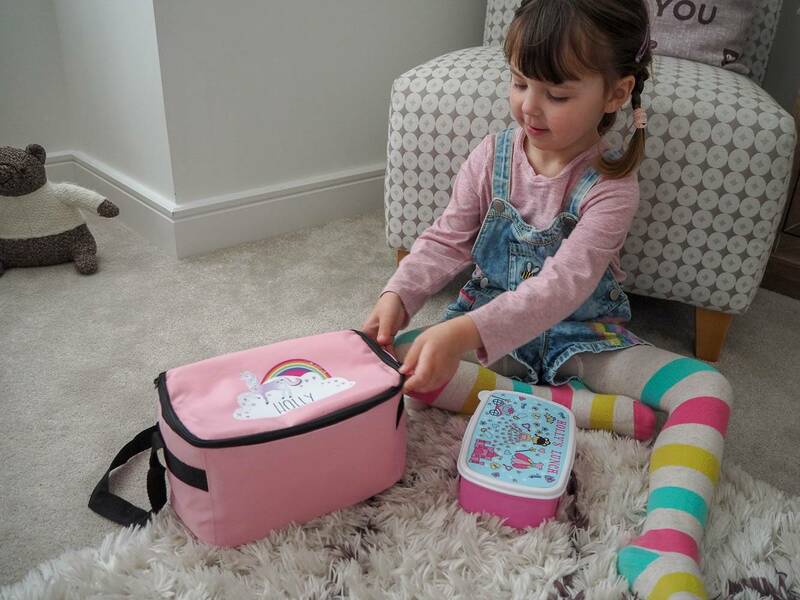 I love the designs on the bags and lunch boxes – so great to have something personalised too. My kids would love these so much! Oh I LOVE this!! 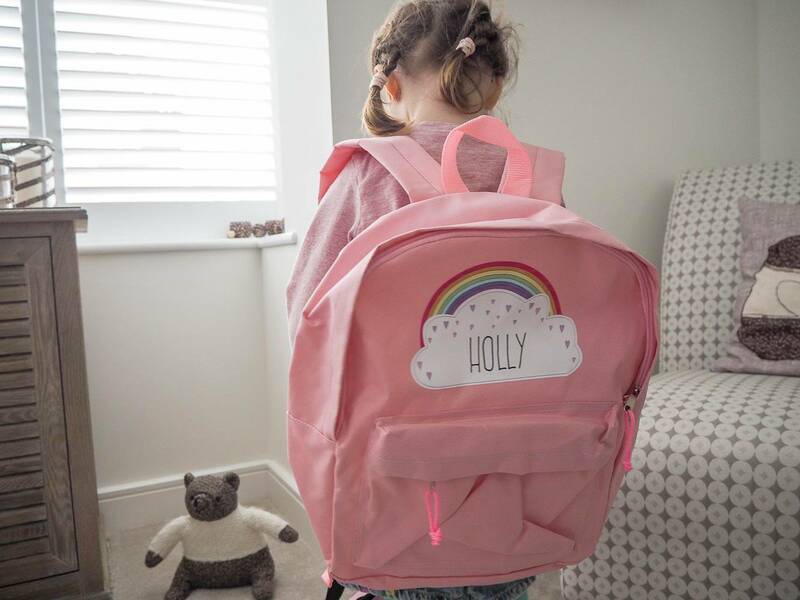 I love anything personalised but this is just what I need for Harry starting school this September, it’s so much easier when they have their name on! Fingers crossed I win! 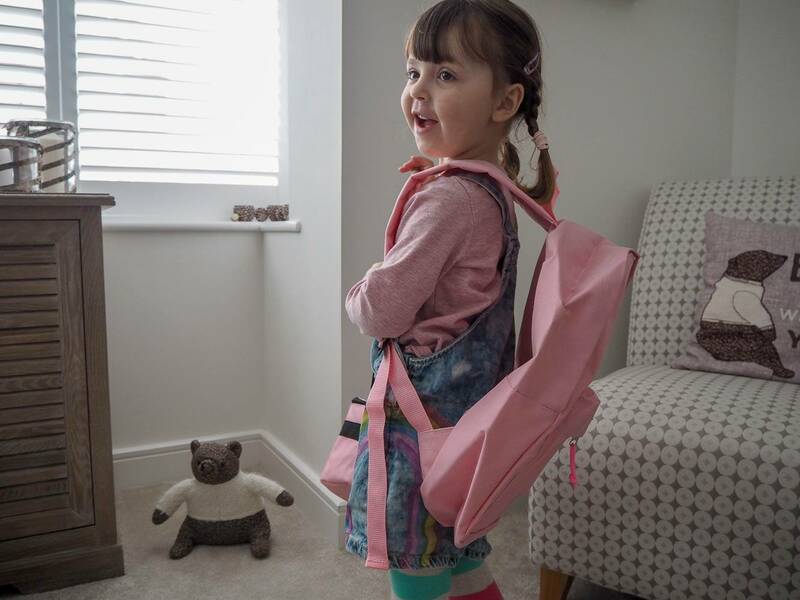 Awww, the backpack looks huge on her, makes me all nostalgic for Youngest’s first day again, when everything seems that little bit too big for them but they soon grow into it! I think the bags and lunchbox all look fab. My two would love these and hopefully it would mean they wouldn’t lose them!